Once Upon a Time in Hollywood is bringing Leonardo DiCaprio to the big screen as Rick Dalton, a former western move star trying to find his way through the rapidly changing town of Hollywood. Dalton is joined by his long-time stuntman, Cliff Booth, who is played by Brad Pitt. The two start to try and figure out how to move their careers forward in an uncertain time while Margot Robbie plays Sharon Tate, who just happens to be Dalton's next door neighbor. Quentin Tarantino has brought together a pretty complex story, which looks like it will be a homerun when it hits theaters this summer. Once Upon a Time in Hollywood opens in theaters on July 26th, just weeks before the 50th anniversary of Sharon Tate's brutal murder at the hand of the Manson Family. As for the Cannes premiere, that is uncertain at this time, but tying it together with the 25th anniversary of Pulp Fiction seems like a no-brainer. However, Quentin Tarantino isn't going to rush to finish his editing just to make an anniversary deadline. 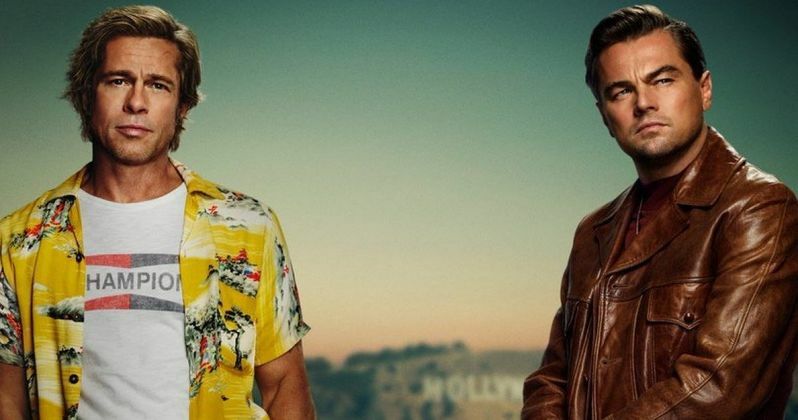 Once Upon a Time in Hollywood will premiere when the director feels that it is ready for the world to see. With that being said, you can check out the first trailer below, thanks to Sony Pictures.